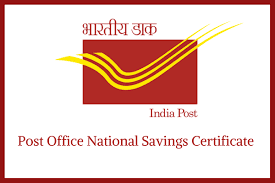 National Savings Certificates or NSCs, one among the nine small savings scheme offered by India Post or post office, is operated by the Department of Economic Affairs. The government revises the interest rates applicable to small savings schemes on a quarterly basis. For the quarter ending March 31, post office NSCs fetches an interest rate of 8 per cent per annum, as mentioned on the official website of India Post- indiapost.gov.in. This interest is compounded on an annual basis but paid on maturity. 1. Eligibility: A single holder type certificate can be purchased by an adult for himself or on behalf of a minor or by a minor, according to India Post, which has a network of more than 1.5 lakh post offices across the country. 2. Minimum investment required: The minimum amount required for opening NSC account is Rs. 100 in multiples of Rs. 100. There is no upper limit on NSC investments. 3. Maturity Period: An NSC of Rs. 100 will offer Rs. 146.93 on maturity after five years. National Savings Certificates (NSCs) have a lock-in period of five years, stated India Post. 4. Income tax benefit: Deposits in the National Savings Certificate qualify for deduction under Section 80C of the Income Tax Act. Section 80C of the Income Tax Act provides for income tax deductions up to Rs. 1.5 lakh in a financial year. 5. Transfer of certificates: At the time of transfer of certificates from one person to another, old certificates are not discharged. Name of old holder are rounded and name of new holder are written on the old certificate and on the purchase application under dated signatures of the authorized postmaster along with his designation stamp and date stamp of post office, noted India Post.